Sometimes a simple cold weather soup is the best thing for a chilly night to go with an antipasto platter for an easy dinner or game night. My favorite tomato soup is simple to make, adaptable and so satisfying, but I wanted to go a little French to have with a beautiful truffled Brie, a homemade Boursin and of course a loaf of fresh French bread, a quick loaf by Mark Bittman. A little Pandora French Cafe music and your heart and mind can be in Paris…don’t forget the wine! 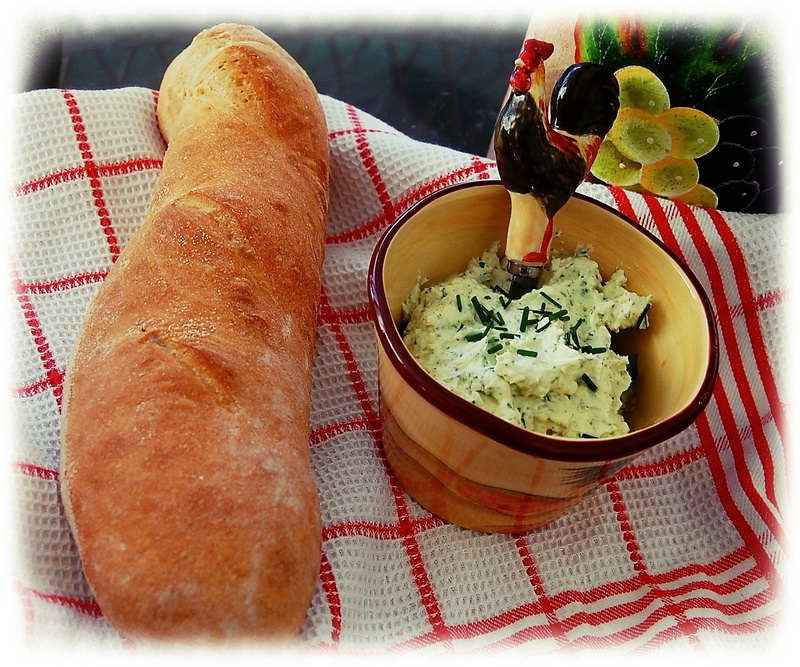 Freshly grilled thick slices of bread, rubbed with EVOO for the croutons–drizzle thick slices with EVOO, grill and rub with fresh garlic cloves. 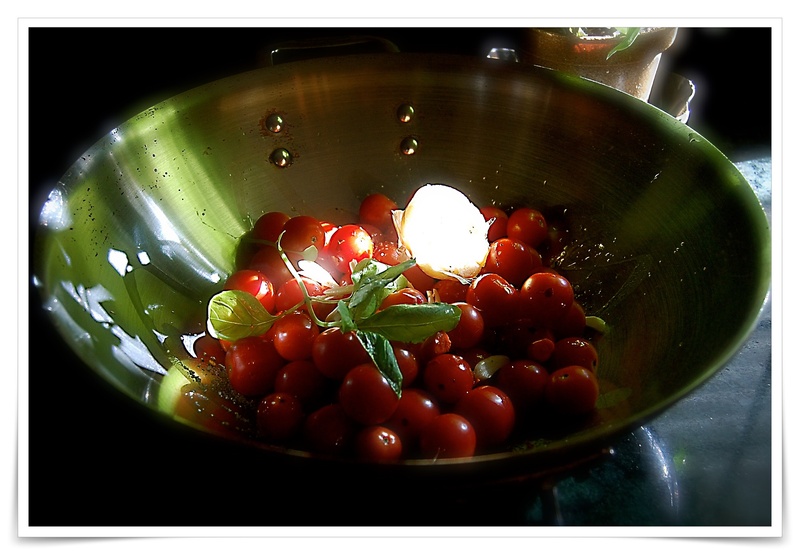 Drizzle the tomatoes with EVOO and add all of the spices and seasonings. Sauté the sliced garlic until fragrant, add the roasted garlic and mash a little then toss in the seasoned tomatoes and carrot. 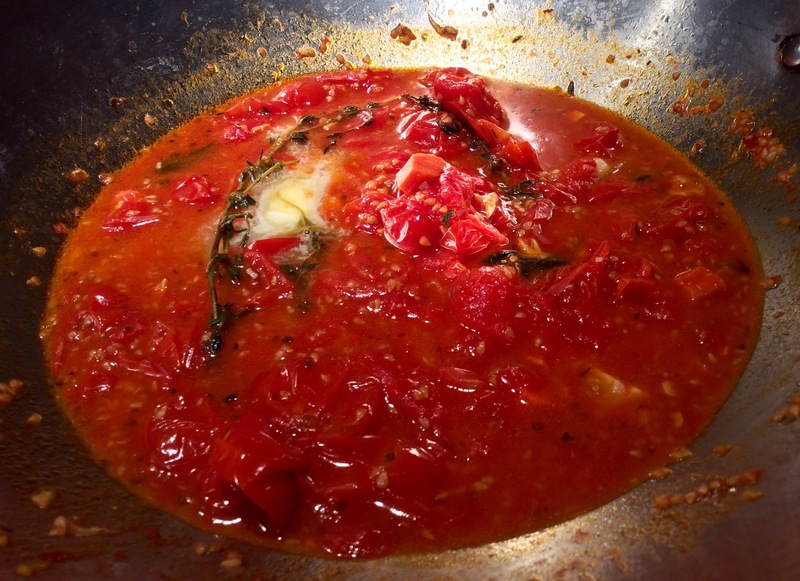 Bring to a very high simmer tomatoes, turn heat to low and simmer for about 30 minutes. *Optional…allow to cool and whiz with a stick blender and strain to get rid of the seeds and skins. Return soup to the pot, add the canned tomatoes and break up a little. Bring to a simmer and cook for 25-30 minutes, taste for seasoning and add the juice and 1 cup broth to the pot, simmer for another 10-15 minutes thinning with broth if necessary. I go in a different direction with some of the methods, but with this recipe you can enjoy as is, make thinner, thicker or embellish as much or as little as you wish. Heat your oven to low broil, place in soup crocks, top with a crusty crouton and slices of Gruyère cheese and broil until gooey. 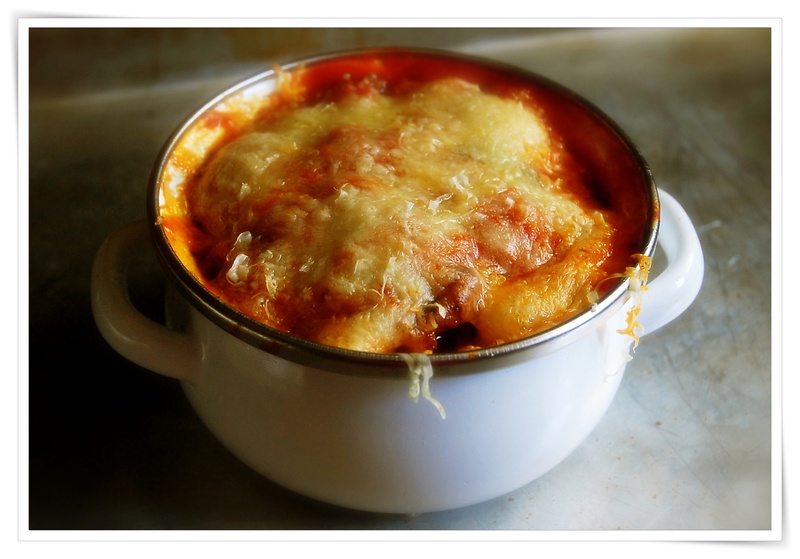 Alternately use Jacques Pepin method for onion soup gratinee…I make the onion soup ahead of time, top with crouton, cheese and then reheat in a 350º oven for 25 minutes to melt the cheese. Serve bubbling hot.